Michelle went on to pursue an education and career in landscape architecture and environmental science. But after ten years away from the farm, Michelle and her husband decided to move back to raise cattle with Michelle's father, Darrell. “The first thing I did when I moved back was go buy some baby calves, naturally,” says Michelle. “Except this time I decided to keep some of my better heifers and start a breeding program.” And thus the cow herd at Jantz Farms was formed. Michelle and her father Darrell worked closely together to build a cow herd focused on genetics and better management practices. 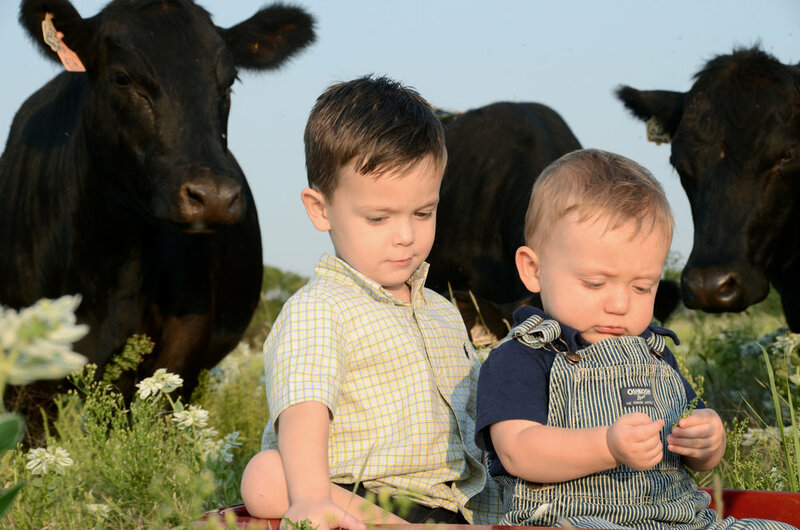 Between a couple hundred cows and two small boys of her own, Michelle stays super busy on the farm and doesn’t raise as many baby calves. But she still enjoys driving through the cows, watching the baby calves, and giving a few head scratches to her favorite pets.